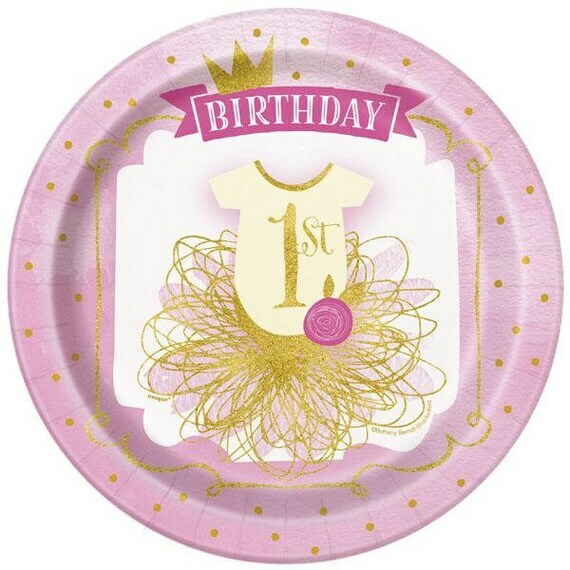 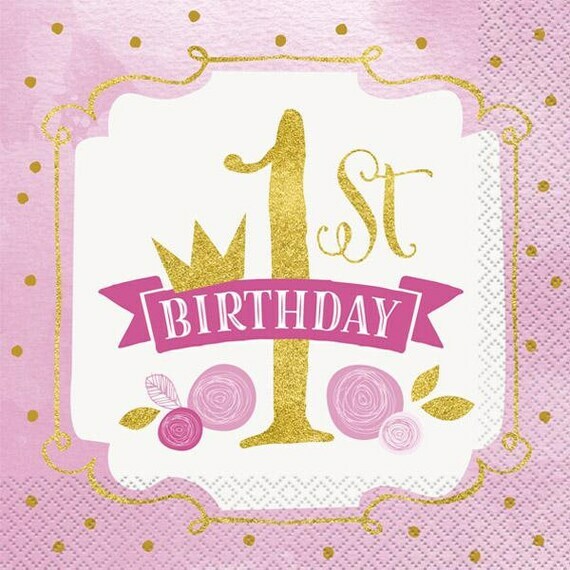 A pack of 1st birthday paper plates. 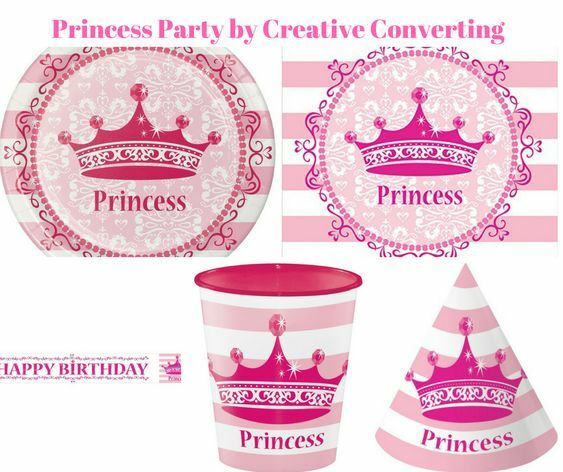 9 inches / 23 cm diameter. 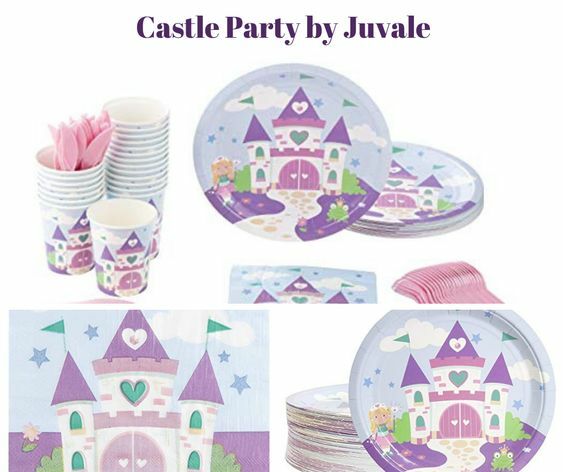 Perfect for use at buffets. 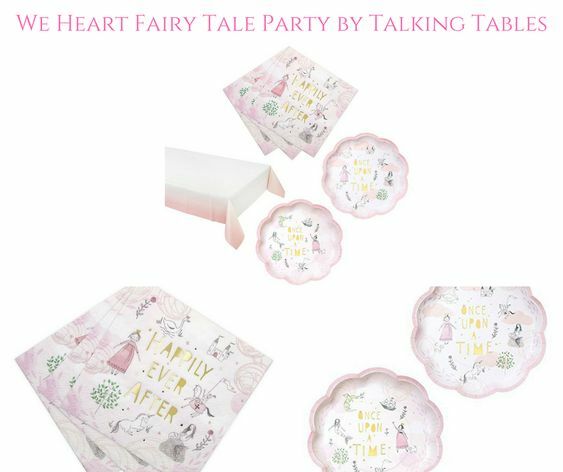 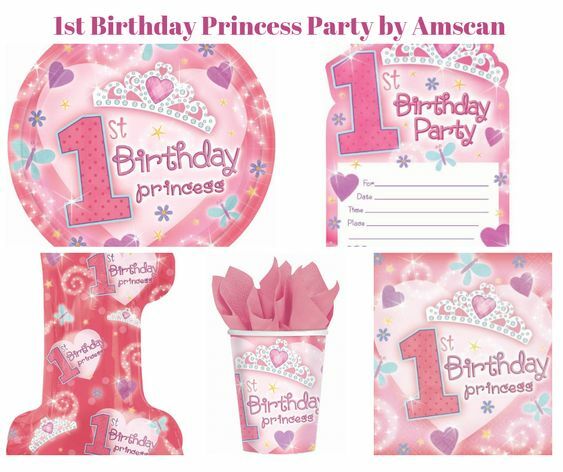 Celebrate the little girls 1st birthday with this wonderful pack of napkins. 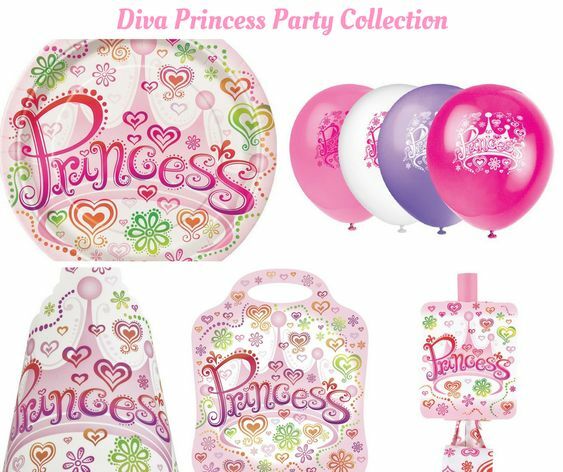 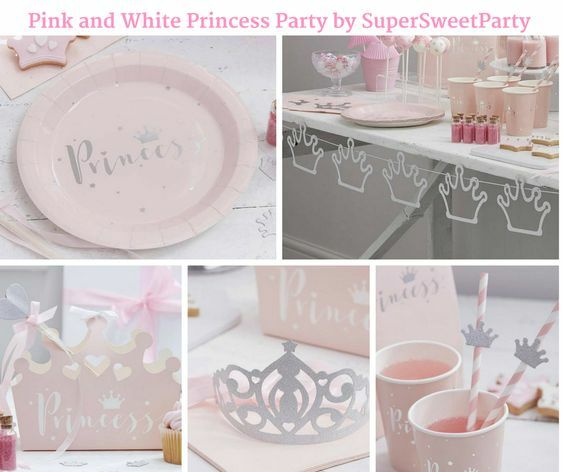 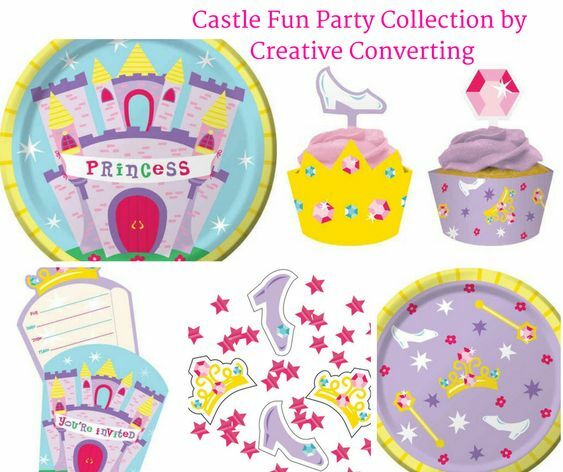 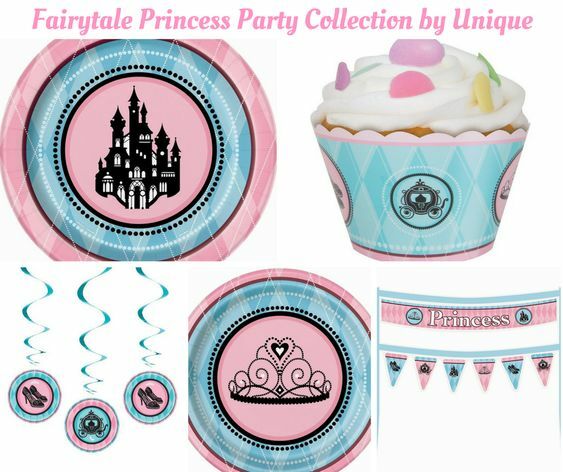 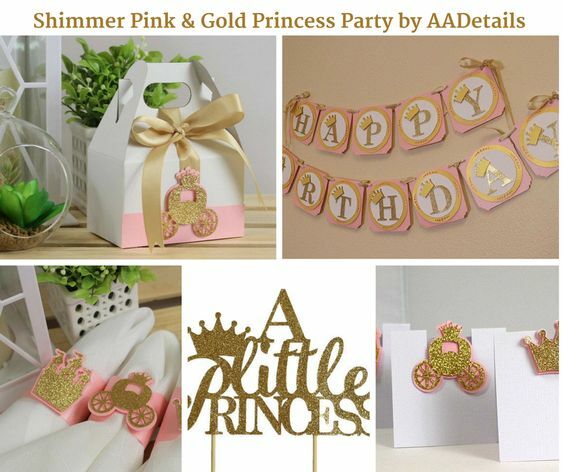 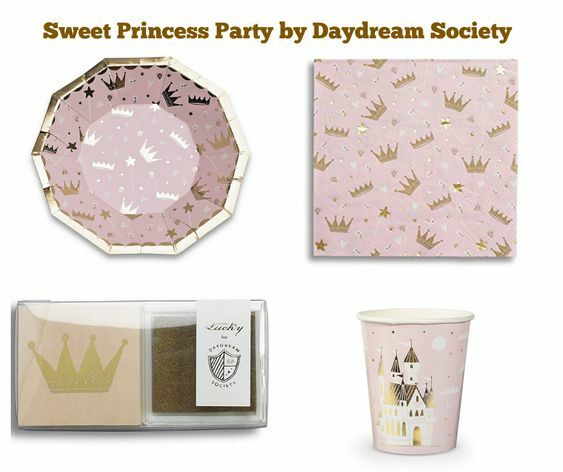 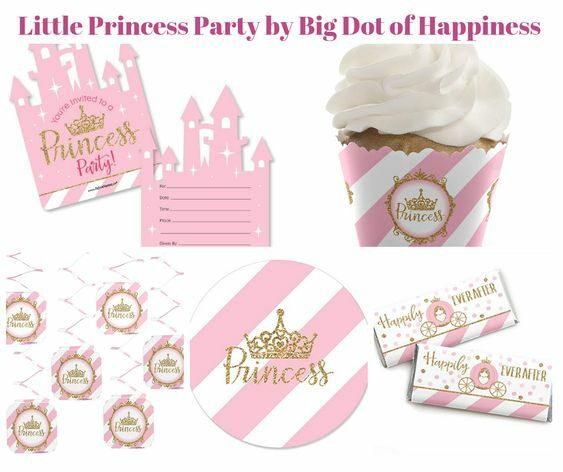 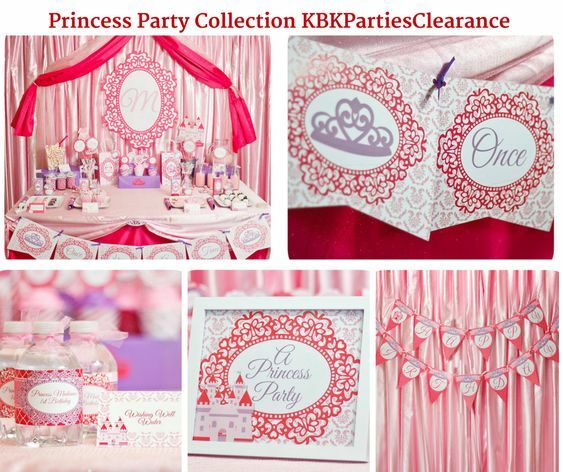 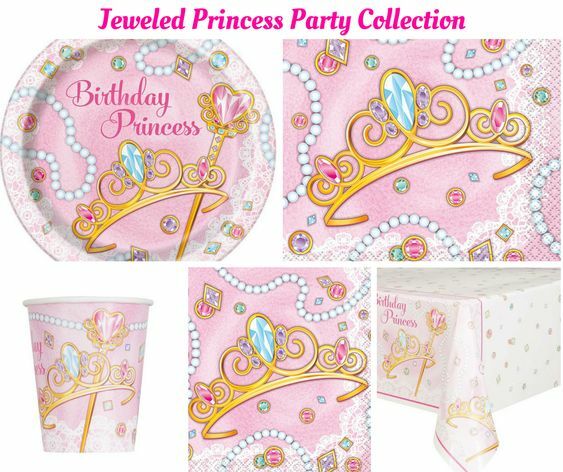 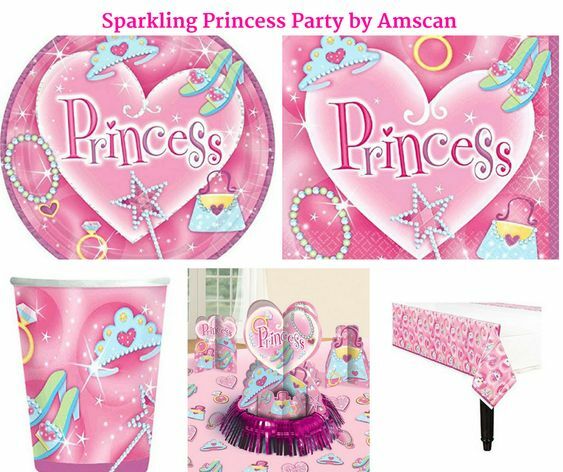 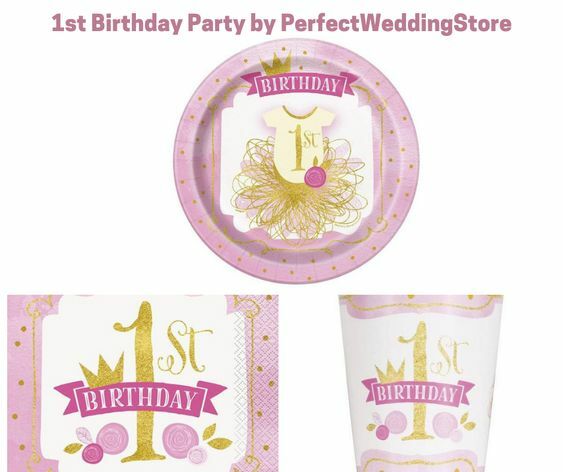 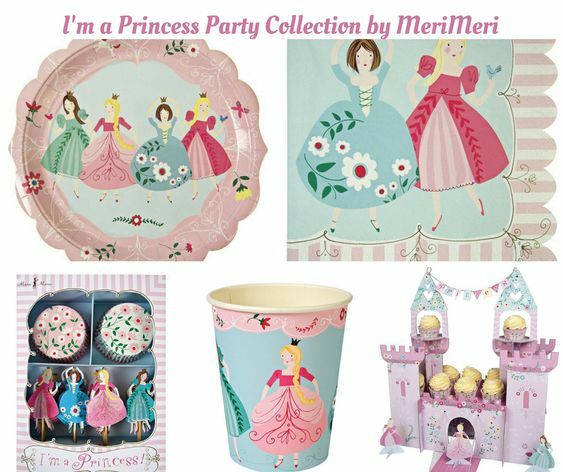 Pink ‘1st Birthday Princess’ range. 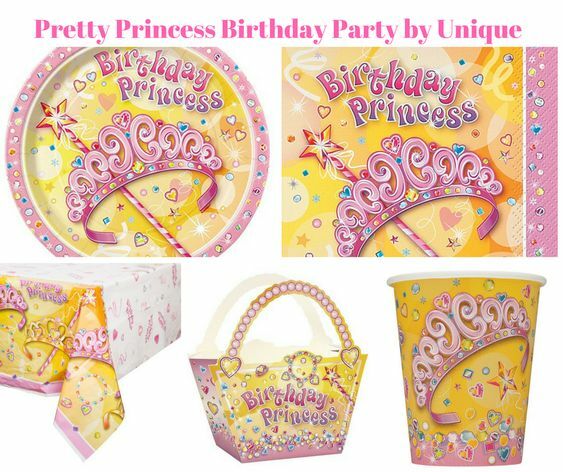 Approximately 30 cm x 30 cm when opened. 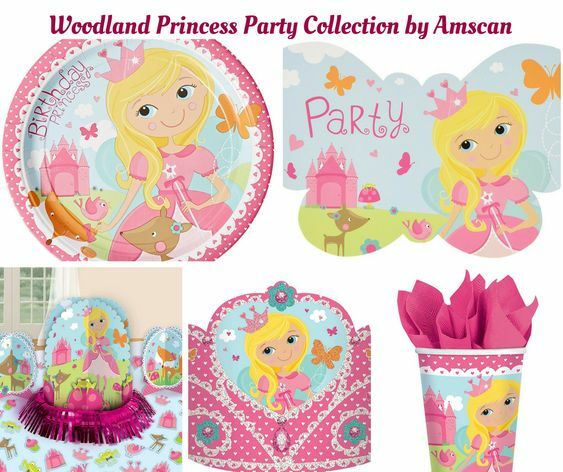 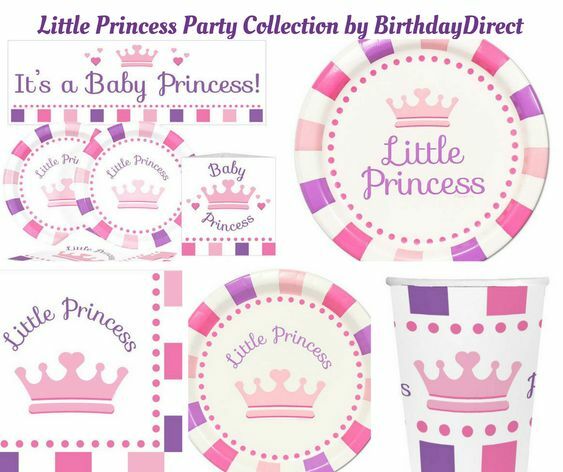 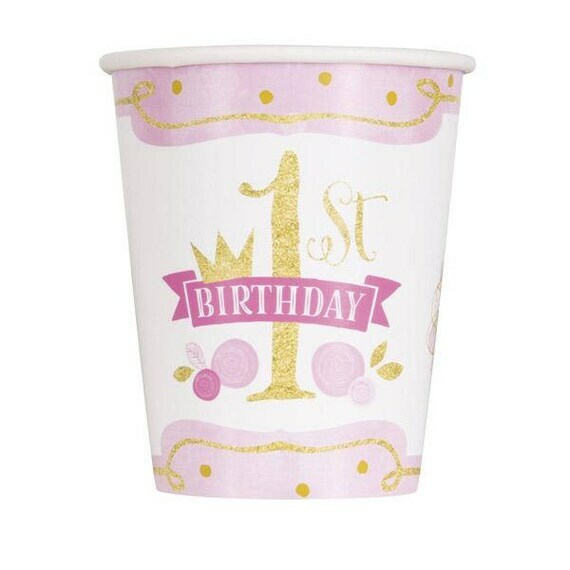 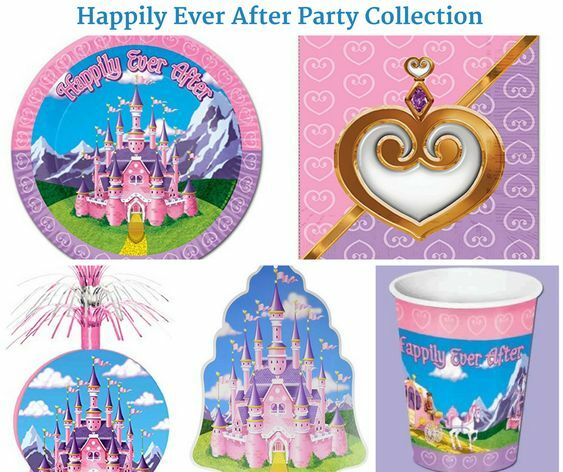 Celebrate the little girls 1st birthday with this wonderful pack of cups. 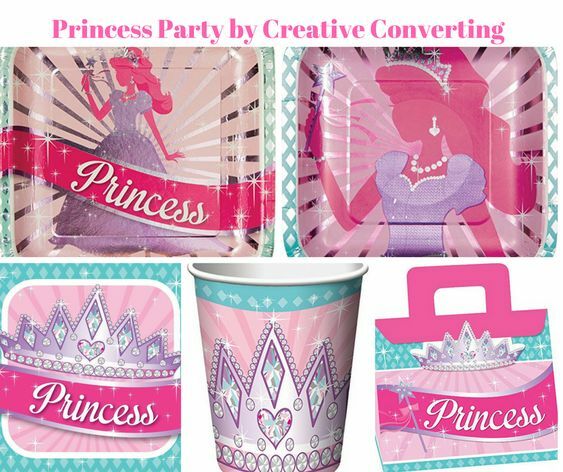 Holds up to 9oz of fluid.